Professor Jonathan Rosand's contributions are the product of his leadership of both an elite clinical service and a world-leading research group. He is Professor of Neurology at Harvard Medical School and Chief of Neurocritical Care and Emergency Neurology at Massachusetts General Hospital, where is appointed to the J. P. Kistler Endowed Chair. 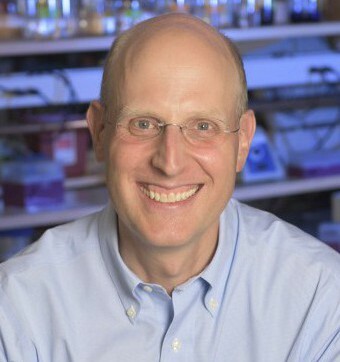 Professor Rosand’s research group is housed within the Massachusetts General Hospital Center for Genomic Medicine and the Broad Institute of MIT and Harvard. The hallmark of Professor Rosand’s scientific work is the combination of careful clinical and imaging characterization of patients with the most rigorous approaches to genetics. This focus has been fundamental to the global scientific impact of his unique patient-oriented research group. Seminal discoveries have elucidated the biological processes involved in cerebral small vessel disease, a common condition of aging, and its most devastating manifestation, hemorrhagic stroke. Professor Rosand’s studies have improved the management of patients with hemorrhagic stroke, as well as influenced prevention strategies for patients at risk for stroke. From its launch, the Rosand lab has consistently attracted outstanding post-doctoral trainees. Alumni now occupy faculty positions at leading universities in the US and Europe. In the spring of 2007, Professor Rosand established the International Stroke Genetics Consortium. It has grown into the leading force in stroke genetics, with more than 60 members drawn from six continents and is responsible for all of the enduring genetic discoveries in common forms of stroke. Most recently Professor Rosand’s team launched a global platform for the analysis and sharing of genetic and phenotypic data.